You actually realize how much something meant to you only when you lose it or don’t have its constant presence in your life anymore. That’s exactly how Alma maters are. They give you so much during your time there that you only realize how much it was worth when you’ve left it. This is exactly how I feel about being a student at Jamnalal Bajaj Institute of Management Studies. From dreaming about being a student here to actually completing one year of education at this prestigious institute, life has come a long way. What we lack in infrastructure, we make up for it in the learning and the experience that this place provides alongside the homely feeling it gives you. 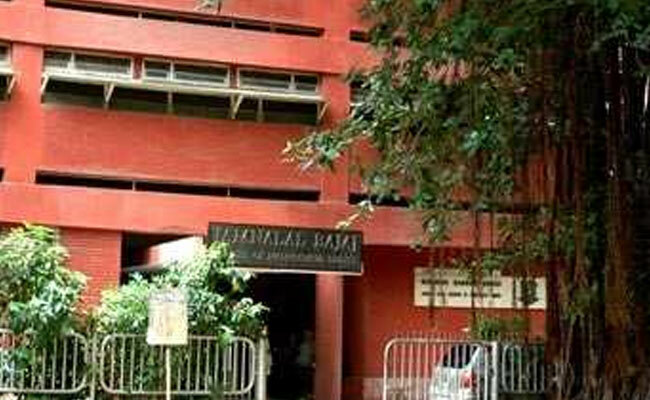 The most unique thing about this institute is the esteemed alumni base that comes back to Bajaj to give back whatever Bajaj gave them during their days here. A lot of our faculties are esteemed alumni who have been teaching at the institute for over 25 years, which makes the learning curve exponential. I can safely say that no number of books could have taught me what a 3 hour session with these senior faculties has. You know it is Bajaj when the God of Operations walks in at 6:45 am for a lecture and you sit upright and listen with much interest, howsoever sleepy you are. Keeping it simple always and making sure that you understand the simple strategies of operations management; his sessions always teach you a lot more than the subject. You know it is Bajaj when Professor M walks in and starts talking about Financial Management and you get a feeling that you know nothing. The fact that his net worth is something you dream of is something that is very inspiring. More inspiring is the humility he has even after achieving so much in life. Just listening to his experiences in the Capital Markets gives you so much to think about. You know it is Bajaj when you get a master class in Marketing applications and strategies from someone who has been in senior positions in various FMCGs for about 25 years. Just listening to their expertise of the industry and the feedback provided gives you something to delve upon and then come back with better strategies and solutions. For me, the entire first year has been about learning from every single person I’ve met on campus and off it and ensuring I’m a better person today than I was yesterday. It has entirely been about the experience and the exposure that this place provides you. Aditya Birla Capital Limited (ABCL) is one of the largest financial services players in India. Formerly known as Aditya Birla Financial Services Limited, ABCL is the holding company of all the financial services businesses of the Aditya Birla Group. With a strong presence across the life insurance, asset management, private equity, corporate lending, structured finance, project finance, general insurance broking, wealth management, equity, currency and commodity broking, online personal finance management, housing finance, pension fund management and health insurance business, ABCL is committed to serving the end-to-end financial services needs of its retail and corporate customers under a unified brand — Aditya Birla Capital. Aditya Birla Finance Limited, an Aditya Birla Capital Company Aditya Birla Finance Limited (“ABFL”) is among the leading well-diversified financial services company in India offering end-to-end lending, financing and wealth management solutions to a diversified range of customers across the country. ABFL is registered with RBI as a systemically important non-deposit accepting non-banking finance company (“NBFC”) and ranks among the top five largest private diversified NBFCs in India based on AUM as of March 31st, 2017 (source: CRISIL). If given a chance to work with any subsidiary under the Aditya Birla Capital Limited umbrella, I would like to do so with Aditya Birla Finance Limited under the Wealth Management Services division. The products by ABCL are personalized to suit the customer’s needs and at the end of the day, if the customer is happy then so are you. The four pillars of growth that the WM division is built on are something that I can relate with. Diversification – so that the client gets maximized returns with minimum risk. Risk Management – using high risk/return products to get above average returns. Confidentiality and Integrity – this is the most important pillar according to me, since a relationship is based on trust. Maintaining confidentiality regarding all the matters of a client will enhance the trust in the relationship and hence lead to retaining customers as well as acquiring new customers. Strong Research Guidance – personalized products based on strong research are offered keeping in mind the specific needs of the client. Wealth Management is something that intrigues me and something that I would like to explore in detail. Hence, if given an opportunity, I would without a doubt like to work under the Wealth Management Services umbrella at Aditya Birla Finance Limited.